Royal Enfield came to India to supply motorcycles to the Indian army 63 years ago and continues to be the largest supplier of bikes to the armed forces even today. Royal Enfield has had a long-standing association not only with the British army but with the Indian armed forces as well. 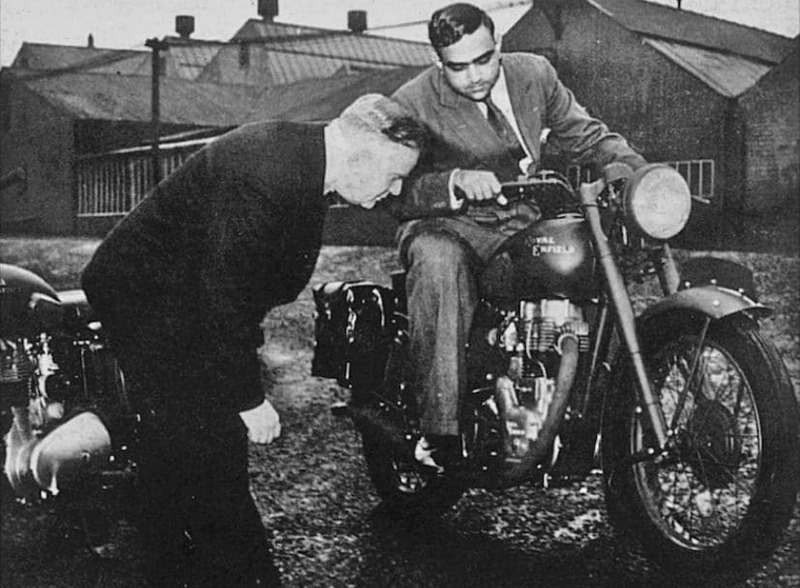 In fact, the UK-based bike maker initially came to supply motorcycles to the Indian army 63 years ago and eventually set-up its base in Madras (now Chennai), where it operates from even today. Despite the Indian two-wheeler market growing exponentially over the years with new manufacturers and fairly advanced motorcycles, Royal Enfield continues to be the preferred choice for the Indian army even today. In fact, at the recently launched Classic 500 Pegasus Edition, the bike maker iterated that Royal Enfield continues to be the largest supplier of motorcycles to the Indian army even today. Speaking on the sidelines of the Classic 500 Pegasus Edition launch, Royal Enfield - Head - India Business, Shaji Koshy said, "Royal Enfield came to India in 1955 for supplying to Indian army because this was the only bike suitable for going in all terrains in the Himalayas and all the border areas of the country. So, this bike has been serving India for the last 63 years. We sell to the paramilitary force, and to the police. Even the Mumbai police had taken 500 bikes from us [recently]. This bike is essentially used by the army, air force, BSF, CRPF, and the police officers." Koshy added that the Indian army places orders for motorcycles every two to three years for about 2000-3000 units. The sturdy nature and simpler mechanics make it easy to use for army applications, while the high torque-low rpm combination makes the bikes capable to handle some of the toughest terrains and across varied climatic conditions. However, the Pegasus edition isn't the first time Royal Enfield has brought forth its military roots. Celebrating its association with the Indian army, the manufacturer previously introduced the Royal Enfield Classic 500 Desert Storm in 2011, which was followed by the limited edition Classic 500 Dispatch rider models introduced in 2015 and were sold in a record time of 26 minutes. There was also the Squadron Blue shade introduced back in 2015, while more recently the Stealth Black edition was introduced, all inspired from the military stories. In fact, the manufacturer auctioned 14 Classic 500 motorcycles back in December 2017, which were used by NSG Commandos to tour the country. While the Classic 500 has been the most popular motorcycles with the Indian armed forces, Carandbike also asked if the RE Himalayan was pitched to the army given its capabilities off-road. Responding to the same, Koshy said, "Our current challenge with the Himalayan is to meet the current demand before we offer to armed forces." Royal Enfield bikes then, are certain to proudly continue its association with the Indian army and we have been told and there might a few other special editions in store in the months to come. Speaking about the Royal Enfield Classic 500 Pegasus, the limited-edition motorcycle pays homage to the paratroopers of the British armed forces who served during the World War II. The Redditch-based manufacturer produced the Flying Flea, a two-stroke 125 cc lightweight motorcycle that was used to be air-dropped behind enemy lines and used by soldiers. Over 4000 examples of the same were produced at the time and the bike served as an inspiration for the Pegasus Edition. 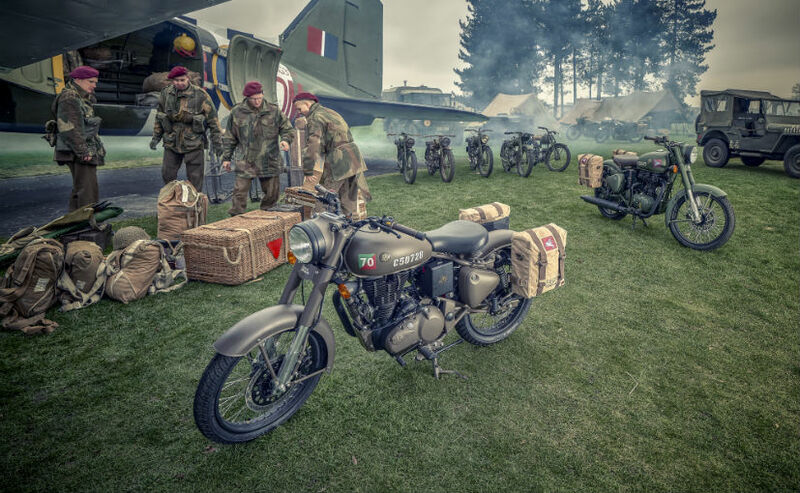 RE has tried to recreate some of the elements from the original Flying Flea on the Classic 500 including the service brown colour, canvas Panniers, period correct Royal Enfield logo and the Pegasus emblem of the parachute regiment that served at the time. While the bike gets no mechanical changes, it certainly transports you back into to that era with its appearance. Only 1000 examples of the Pegasus edition are being made globally, of which the first 250 units will be sold in India. The Classic 500 Pegasus edition is priced at ₹ 2.40 lakh (on-road Delhi). Bookings for the limited edition model will commence on July 10, 2018 at 2 pm, and will be available only online.